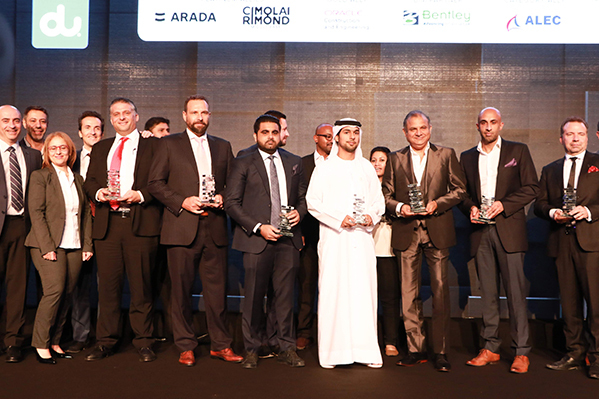 Thumbay Builders, one of the largest construction companies in the Northern Emirates operated by the Construction & Renovation Division of Thumbay Group, was honored with the ‘Healthcare Project of the Year’ award at the third annual Construction Innovation Awards 2018 held at Habtoor Palace, LXR Hotels & Resorts, Dubai on 17th October 2018. The awards function was organized by Construction Business News, the leading construction magazine published by BNC Publishers. 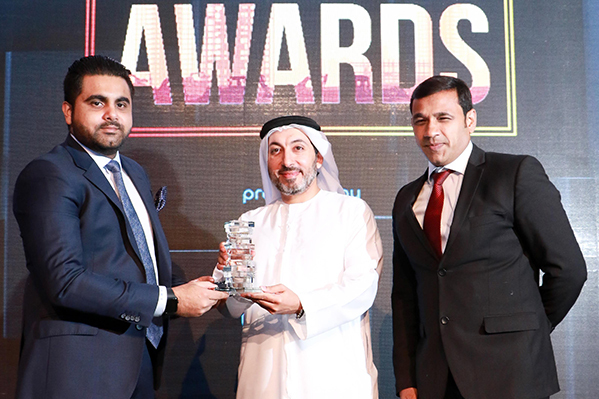 Mr. Akram Moideen Thumbay, Director-Operations of the Construction & Renovation Division of Thumbay Group, accompanied by Mr. Farwaz P.C., COO of Thumbay Builders, received the ‘Healthcare Project of the Year’ award at the function. Thumbay Builders was chosen for the award on account of the two recently inaugurated state-of-the-art healthcare facilities at Thumbay Medicity: the Thumbay Physical Therapy and Rehabilitation Hospital (TPTRH) – the biggest and most advanced hospital for physical therapy and rehabilitation and the Thumbay Dental Hospital – the first private dental hospital in the country and the largest academic dental hospital in the Middle East region’s private sector. These hospitals are considered unique in the region due to their cutting-edge technology and facilities. Mr. Akram Moideen Thumbay said that the award recognizes Thumbay Builders’ reputation as specialized builders of world-class healthcare facilities. “Thumbay Builders has always focused on integrating the latest technology with the efficient use of resources, delivering unmatched customer satisfaction. With our team of expert professionals and latest technology, we have demonstrated the capability and expertise to execute high-end construction projects in healthcare, education, hospitality etc., in the UAE as well as in India,” he said. Thumbay Builders was founded by Dr. Thumbay Moideen, the Founder President of Thumbay Group. It offers facilities in designing, developing and constructing real estate. Some of the prestigious projects handled by Thumbay Builders in the UAE include the Gulf Medical University, Thumbay Hospital, Thumbay Pharmacy, Body & Soul Health Club & Spa, Blends & Brews Coffee Shoppe, and The Terrace Restaurant. The soon-to-open 500-bed academic hospital – Thumbay University Hospital – the largest private academic hospital in the region coming up at Thumbay Medicity is also being constructed by Thumbay Builders.